If your game is also for sale on Steam (Congratulations Paper Sorcerer) you can now offer Steam key redemption from your game’s purchase and download page. You can find the External keys page on the new Download keys page from the game tool tabs when editing your game. 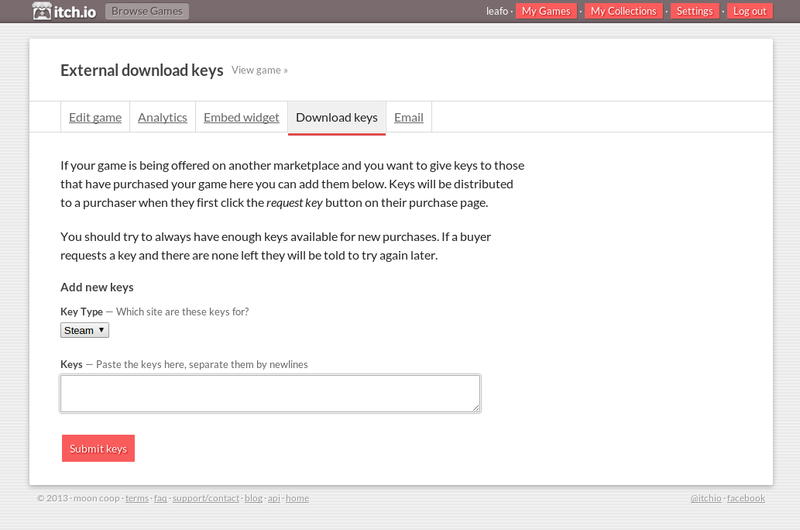 You can supply keys in bulk and then buyers can request a key on their download page if one is available. If your game has been for sale on itch.io for a while before being on Steam those who have purchased it can go back to their download page and still get a key.